It's all about "stomping" on the pedals in cycling, the more efficient the power transfer, the better for the rider, the more trouble for the competition! eSoles and the Discovery Channel Pro Cycling Team have collaborated to employ radical 3D Laser foot scanning technology to harness all that raw talent and power. eSoles custom footbeds are another high tech weapon in the Discovery Channel Team's arsenal for 2007. The cycling peleton will soon experience the enhanced exploits of Ivan Basso, George Hincapie, Levi Leipheimer, Tom Danielson and the whole Discovery Channel Team. eSoles custom footbeds are also invaluable in everyday footwear, so the Team mechanics, soigneurs and directors will also wear eSoles. The unsung heroes of the Team will experience performance and comfort benefits in their critical role just like the riders. So what is an eSoles footbed? A footbed is a shoe insole that is custom fabricated after scanning the foot with a laser. eSoles employs proprietary 3D Tru Capture technology to support and align the foot during scanning. eSoles custom footbeds replace the existing shoe insoles to deliver support, performance and comfort. Discovery Channel Team rider Levi Leipheimer has eSoles for over a year and has seen a huge difference, stating "I use eSoles because they provide the foundation for my body to power the bicycle. The experts at eSoles have state of the art tools and knowledge to align my feet, ankles, knees and hips to maximize my power output. I am straight from head to toe for the first time ever." eSoles offers a range of 12 distinctly different products that cater to different sports and activities. eSoles are being used by hundreds of professional athletes in many different sports and a diverse cross section of the general public that include; busy working professionals, runners, hikers, walkers police, weekend warriors, retirees, construction workers, nurses and sports enthusiasts of all kinds. 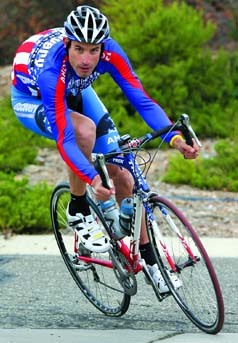 eSoles is the official Custom Footbed supplier of the Discovery Channel Pro Cycling Team. eSoles corporate offices and manufacturing are located in Scottsdale Arizona. All scanning is performed using mobile scanning equipment. eSoles and its dealers service the general public, corporations, entertainment/hospitality industry, medical and rehab community, law enforcement agencies, security personnel, retail, major sporting events and sports/leisure participants of all levels. eSoles is currently seeking US dealers. eSoles is expanding its presence into most major metropolitan areas. eSoles also welcomes corporate enquiries.